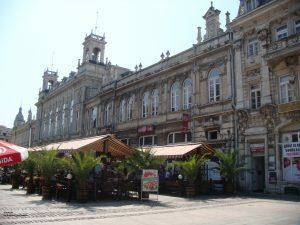 KOUKERY Art & Festival Travel Bulgaria is a licensed inbound tour operator, a branch of the KOUKERY Company, based in the town of Ruse, Bulgaria (License Nr PK-01-7093). Tour extensions to other Balkan countries. 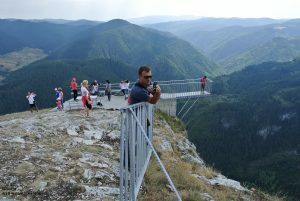 Our name stands for an excellent organization of your trip to Bulgaria, accommodation of quality and comfort, tour directors and licensed guides with highly professional presentation and attitude to the customer, safe and comfortable transportation. 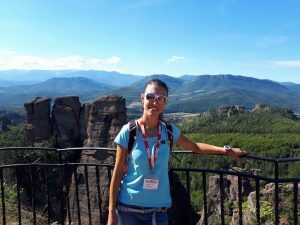 The manager of the team, Mrs. Katerina Koleva, is a professional travel operator and tour guide, with over 16 years of experience in the tourist industry, most of which as a bilingual tour director for leading international tourist companies. The name of the company is derived from the Bulgarian folklore- Koukery is a local tradition, dating back to the times of the Thracians. The celebrations of this rite take place in the winter, around New Year, and are believed to bring health and fertility. The Koukery are masked men, who perform ritual dances around the villages and chase the evil spirits away. 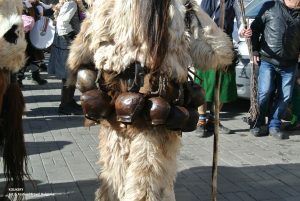 They are usually dressed in furs, wear scary masks and huge bells around their waists, which make incredible noise. 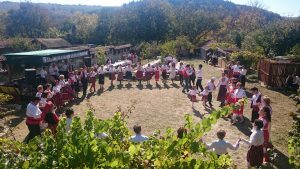 The tradition of the Koukery dances nowadays is well preserved and can be seen every year at the end of the winter during the spectacular Koukery festivals in several Bulgarian towns (read more on Festivals).